Turn Santa's Ho into House! Danny J Lewis gets in the festive mood in this tutorial where he creates a bumping house beat by using just 3 yuletide source sounds (and absolutely nothing else!) - a chime, sleigh bells, and of course Santa's unmistakable Ho Ho HOOO! Koothoomi Records would like to say Merry Christmas and a Happy New Year to all our customers throughout 2011 and the past years. We hope 2012 will be just as big for us as we keep on expanding and supplying you with more records as vinyl sales hopefully continue to grow and become more popular. See you all in 2012 with more music news and vinyl release! 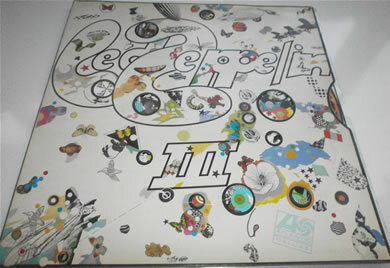 Koothoomi Records latest shipment of stock includes Led Zeppelin albums - Physical Graffiti, II and III, The Beatles albums - Abbey Road and A Hard Days Night and Black Sabbath's - Black Sabbath album. Just to name a few, but hurry, they wont be around for long! 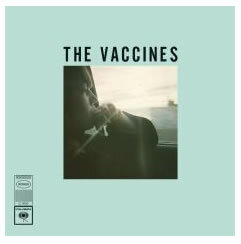 Listen up The Vaccines fans, Koothoomi Records have one, yes ONE copy of The Vaccines - Wetsuit on 7 inch vinyl. 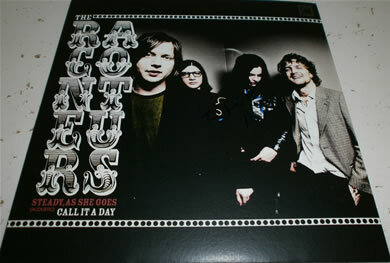 Only 50 of these were made and there will only ever be 50 made so if you want one we got it, but be quick, this is sure to go quicker than you can say "Put a wetsuit on, come on, come on"
Koothoomi Records have picked up a signed copy of The Raconteurs vinyl Steady As She Goes on 7". Signed by Jack White with an authentication slip this record is a must have for all Jack White / White Stripes / Raconteurs fans. This wont be around for long so what are you waiting for???! 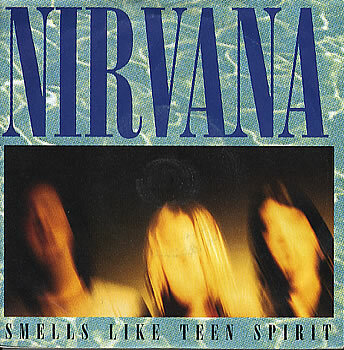 To mark the 20th anniversary of the release of Nirvana's Nevermind album, Nirvana are re releasing Smells Like Teen Spirit on 7 inch vinyl on 19th December 2011 which is limited to 1000 copies. This will be hoping to get the Christmas number 1 spot, and we are sure it will. Come on get supporting real music! Koothoomi Records have a strictly limited amount for pre order now, once they are gone they are gone. Fatboy Slim A.K.A Norman Cook tore up Southends Cliffs Pavillion on Friday night (2nd December 2011) and Koothoomi Records were there to watch the master at work on the vinyl. The night began with a shed load of Jagerbombs and with exciting new talent in the shape of Jackbeats and Doorly, the night got off to a flyer. With Southend seafront getting lashed by rain and wind outside, the punters were very much on the lash inside with the bar 3 deep at anyone time, just adding to the anticipation of the Fatboy. Needless to say he didnt disapoint, and it will be a night to remember (just about!). Norman said: "It’s been a classic year so far with raves on the Great Wall of China, beach parties in Tokyo and now festive fun in the Mecca’s and ballrooms of the UK".